When Lee asked me to be a part of her wedding day I was really excited because I've known Lee since middle school. She was always the nicest, sweetest person. After meeting her then fiancé Jonathan, I was sold. Lee went to middle school, high school and college with me. In fact, she was even in the same sorority! It was great knowing all of her bridal party. 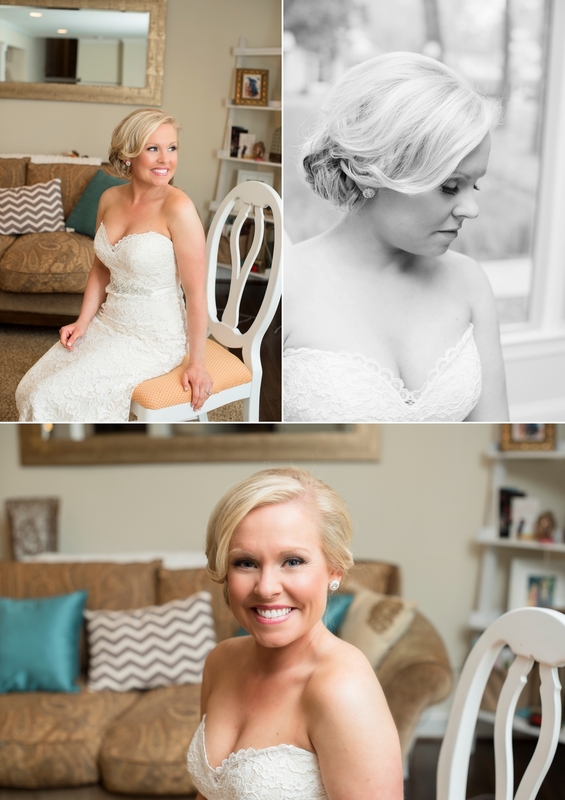 It made for a nice relaxed atmosphere while getting ready, allowing me to get some great shots! Lee's dress fit her body and style absolutely perfectly! All of the girls were absolutely beautiful in their robes so we had to have a little fun. The girls got ready in Lee's house which had a huge, airy window allowing for that gorgeous soft light. Jonathan and the boys got ready at the Omni downtown. Typical for the boys, the process included a few shots. After no time at all, the boys were off to Byron's Southend to help greet guests. Meanwhile, back at Lee's house, she was slipping into her stunning wedding dress & adding the finishing touches. Lee was such a stunning bride. Lee's dad showed up so we did a little reveal of his baby girl. It brought tears to a lot of the bridesmaid's eyes. We had to keep the boys out of trouble, so it was picture time for them! The girls arrived just before ceremony start time, so we hid them away so the groom wouldn't see the bride. The boys did such a dapper job posing correctly that we let them have a little fun with the silly posing. The girls, as always, keeping it classy! Alright boys, time to wrap it up and get this show on the road. Let's get it started ladies. It was the officiant, Brendan's first time marrying a couple. He did a spectacular job! He kept everyone laughing while telling the story of Lee & Jonathan's relationship, start to finish. The whole group took a few quick shots together before it was time to tackle the family formals all while avoiding the rain. My favorite part of the day, hanging out with just the newlyweds, grabbing some intimate shots before the reception officially starts. How cute are they?! I love the love in the newlywed's eyes as they danced their first song together and husband and wife. Shortly after dinner, it was time to cut the beautiful cake. Both Lee's sister and Jonathan's brother gave funny and heartfelt speeches about the couple. Lee's dad finished off the speeches with hugs all around. Lee's dad was obviously so proud of his little girl. Check out that big grin! Jonathan swept his mom off the dance floor, putting a smile on everyones face. All the couples to the dance floor! The dancing and celebrating continued late into the evening. These are probably my favorite dancing photos at a reception ever! I mean HOW COOL?!?! Congratulations Lee & Jonathan and thank you for letting Head Over Heels Wedding Photography be a part of your big day!! !